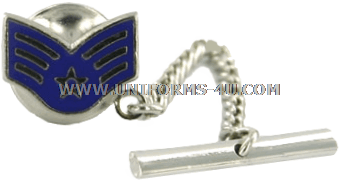 Our Senior Airman tie tack and tie clasp is authorized for wear by enlisted Airmen who have been promoted to the grade of E-4. It may be worn on both regular and pre-tied neckties, and is centered on the tie between the bottom of the knot and the bottom tip of the tie, which must cover a portion of the buckle but may not extend below it. 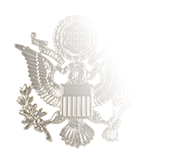 Three chevrons have long indicated the grade of E-4 in the United States Air Force, but just what rank that grade was designated has changed several times since the service was created as an independent branch of the U.S. military in 1947. 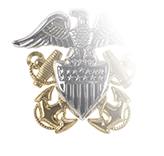 Because the Air Force was “birthed” from the United States Army Air Forces, the Enlisted rank designations used during the first few years were taken almost directly from the Army, with E-4 being Sergeant, a Noncommissioned Officer (NCO) rank (an E-4 in the Army was and still is a Corporal, also an NCO). 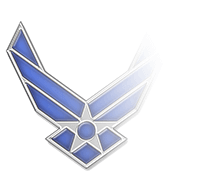 The Air Force altered the Enlisted grade system in 1952, with the primary goal being to restrict Noncommissioned Officer status to a smaller percentage of the Enlisted force, making the NCO cadre more recognition. Airmen at the E-4 grade were designated Airmen First Class, making the Air Force the only service that did not have an NCO rank at the E-4 grade. This structure lasted until 1967, when E-4 was redesignated as Sergeant in an effort to make it possible for Enlisted personnel to reach NCO status before their first reenlistment point came around. In 1976, the Air Force divided the E-4 grade into two ranks, the NCO rank of Sergeant and non-NCO rank of Senior Airman, a system similar to the U.S. Army’s E-4 ranks of Corporal and Specialist. 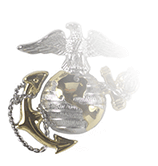 Both rank insignias had three chevrons, but Senior Airmen were distinguished by a blue star instead of the white star used for the rank of Sergeant. 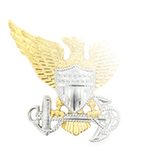 This system came to an end on 19 March 1991, when the rank of Sergeant was discontinued and Senior Airman—not an NCO rank—became the only E-4 designation.